President, Des Donnelly, hosted his 2016 prize at Woodbrook GC on Friday May 20th. 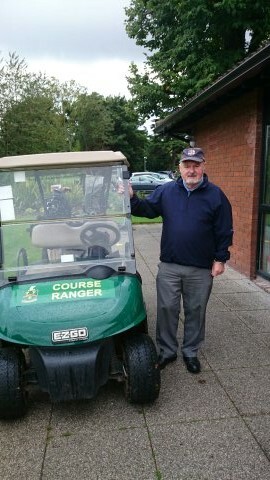 There was a good turnout and the prize was won by last year’s PPU President John Cullen (Class of 64). 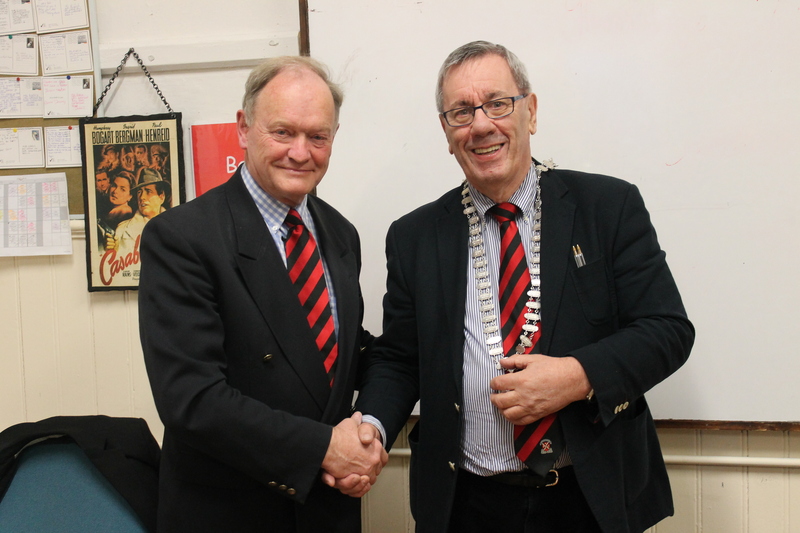 John is shown below (left) handing over the chain of office to Brian Duncan at the PPU AGM . The next outing will take place at Newlands GC on Friday August 12th for the Captain’s (Alan O’Connor Jnr.) Prize. Tee Times are 1.40pm to 2.44pm and the fee for green fee and meal is €55. The final outing of 2016, for the Pat McGrath Memorial Trophy, will take place at Foxrock GC on Thursday October 13th. The tee times are 12.30pm to 2.00pm. The fee will be €60. Booking for outings should be made with Tony Kenny (087 2623700) or Brian Donnelly (086 6183651) – phone or text.